With a renewed focus on the Arts, Stanford is simultaneously undertaking an ambitious Arts Precinct Master Plan and several site specific projects. 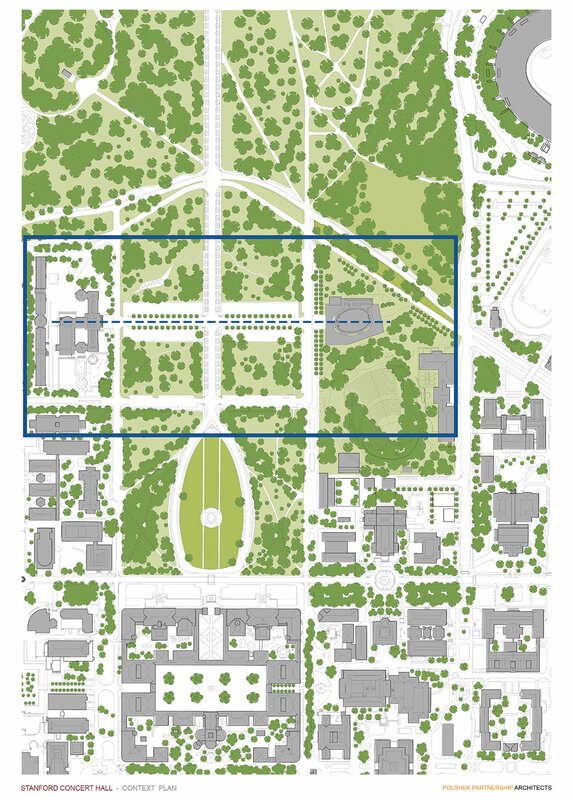 The Precinct Master Plan is a comprehensive planning effort that looks at several distinct courtyards, outdoor galleries, plazas, and streets to choreograph a seamless sequence of experiences. The Precinct Master Plan develops and employs consistent planning principles and a shared urban landscape language to link various program elements and spaces with the common thread of art to create a cohesive framework for use and enjoyment. O|CB has been involved in these efforts since the inception of the Bing Concert Hall in 2007 (with Ennead Architects, NYC) and continued with the design of a new Arts Quad adjacent to the Cantor Museum, including the McMurtry Art and Art History Building (with Diller Scofidio + Renfro Architects, NYC) and the Anderson Collection Gallery (with Ennead). O|CB’s involvement in multiple, contiguous projects and concurrent coordination among Design teams and University groups provided cohesive and accessible site programming and organization. Site elements include Entry Plazas, Sculpture Courts, Art-Making spaces, outdoor Event/Dining/Performance Terraces, Roof Gardens, and a private Performers’ Garden. The landscape typologies assume the dual role of extending the architecture into the landscape and creating shared spaces that contribute to the overall unity and character of the Precinct. Careful attention has been given to sustainable site strategies for stormwater management, native plants and heat island mitigation.